Endurance-based sessions can provide the catalyst towards running quickly. They may not give you the ability to run as fast as Mo Farah over the final lap of a 5000m or 10,000m, but they will allow you to run faster for longer. Several athletes make the mistake of ditching many of the sessions that maintain and improve endurance during the track season. But don’t be lulled into thinking that it is time to dump the volume of the winter completely and turn to running quickly at all costs. If you forget about endurance, you will very quickly lose your conditioning. The summer is definitely more about the specifics of an event and running quickly, but without the engine to drive you forward your progress will inevitably stall. The transition from winter into summer should be almost seamless and if it is it will reduce the incidence of injury by making you a better conditioned athlete and the extra pace developed will also come in useful in the winter months. 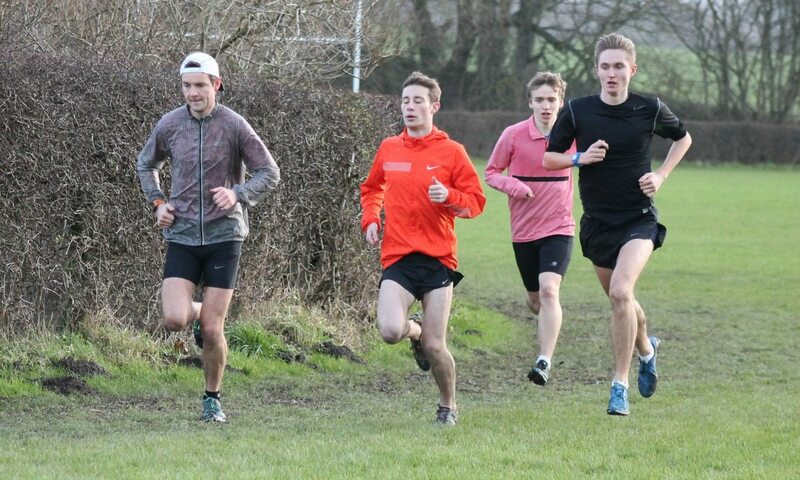 With the winter now behind us and the attention beginning to turn to the track, make sure that the next set of training ticks all the right boxes. Sessions such as “Kenyan Hills” where the efforts can last anywhere from three minutes up to a leg-sapping 30 minutes with vigorous attacks on the uphill and flat sections, can be complemented by finishing the workout with some fast one-minute efforts on the flat. Basic hill running is vitally important too – if you can find a suitable slope, it can become very specific in terms of strength, power, lactate tolerance and good form. The one I use with my athletes has a very steep incline, it lasts only 40- 50m and the group have to run an extra 60m on the flat with good form to finish off. This replicates the scenario over the last 120m on the track when speed is needed with lactate-filled legs and when controlled cadence is the only way to maintain the form needed to secure a win or that elusive PB. At both the high and low ends of the scale, tempo runs can provide great additions to a runner’s repertoire, giving him or her valuable increases in VO2 max. This gives an athlete the ability to use what speed they have when needed. Tempo runs can be done as a stand-alone session or asa pre-session – even as a mid or end- of-session addition. Distances of eight minutes up to 40 minutes are generally recommended. One important session, which is an add-on, that I use once every three weeks or so is the “sting in the tail” at the end of a workout when athletes think their efforts are done: usually done over 400m or 300m and at 100% effort, it always provides fantastic data and some painful sights. Times of 49.2 for 400m and 35.4 for 300m have been recorded in my group and it is the aftermath that I watch for to dictate what shape anyone is in. Fast times are great and can’t be ignored, but it is body-language and speed of recovery that tells me what aerobic condition they are in. If they lie prone and motionless for an eternity, then I know they are quick, but not as aerobically enhanced as I would like. However, if they can stand upright and begin some sort of a conversation within a minute or so, then I know they are in superb condition. It isn’t speed as such, but it is speed endurance with a big dollop of great strength endurance needed to complete it – it has one big bonus. It encourages an athlete to believe that they can run fast no matter how fatigued or uncomfortable they are. If anyone needs any reminding, just look at how much Mo Farah puts into his final lap – he literally digs deeper than anyone else and that is a huge asset. Throughout the winter months, my athletes who have done some of their workouts on the track will have been running target times at “date pace” – the pace for their specific event which is applicable to the time of year. For an 800m runner with a PB of 1:52, date pace may be 58 seconds per 400m in November, 57 seconds in January and advancing to somewhere around 55 seconds in April. The training pace of a 5000m/10,000m runner won’t deviate so much on an annual basis, but the recoveries and amount of reps will as these become much more race-specific. Multi-pace work is much used by athletes and coaches, sometimes over a week but also in a single workout. It’s simply a matter of working at race-specific, under-distance speed and over-distance pace. A 1500m runner will use 800m speed as well as 3000-5000m speed and integrated into the plan will also be 400m and even marathon-paced efforts. Various surfaces can also be incorporated into these multi-paced workouts. A session may start on the grass, move to the track and back to the grass – or vice versa. These are great sessions that alleviate boredom and also reduce one-dimensional workloads that can lead to stress-related injuries.